People who relieved from the serious and deadly diseases looks very week, sober due to the loss of their immunity. Also, they look like patient though they relieved completely. Black gram is the best remedy for strengthen them and restore their energy. 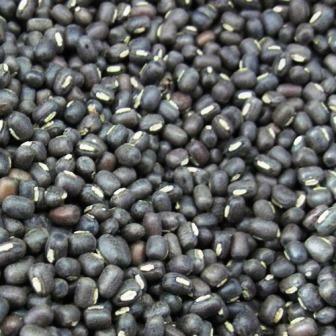 They can consume black gram by making pudding, porridge or they can grind black gram along with rice to consume (Idli) to strength the body, bones, muscles and nerves system. In today's hurry and busy world, the impact by the new diseases also in hurry mode. The cause is body heat. Depression, restless work, insomnia used to increase the body temperature. Eating pudding made by Black gramalong with raw rice(unremoved bran), Dry ginger, Palm Sugar will bring down the body heat. Eating dry black gram powder mixed with pure honey in the regular diet will increase the quality and quantity of Sperm. Also, it helps to rejuvenating the nerves. Black Gram dumplings will help to overcome the hunger immediately and cool the body. Also, it reduce the hypomania. 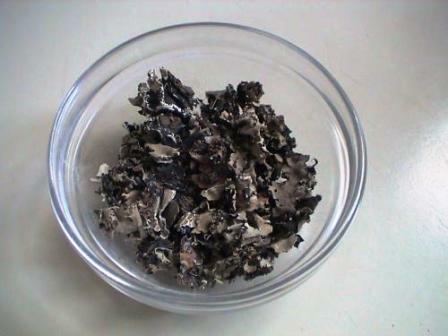 Black gram is the best medicine to cure bone fracture, muscle breakdown and blood clots. This is one of the traditional medicine followed. Even now people are following. Making bandage by applying Fine ground black gram powder mixed with enough quantity of egg whites on the fracture will cure with in few days. Few people will always stand with hands on hips. Its due to the week waist. Hips should be strong and well to walk upright. Eating black gram pudding daily will strengthen the hip and remove pain. Feeding Idly made using black gram is very good for kids. It plays important role for their growth and strengthen their bones. For women over the age of forty and the women who had Menarche should need lot of nutrition. Having black gram Porridge in the diet will make them very healthy. Grinding raw rice without removing bran along with skinned black gram and making the pudding and having along with sesame oil and Palm sugar also will make them very strength. It relieve their hip pain. This would be the reason still many villages follow giving ground black gram batter along with sesame oil and egg whites during Menarche to girls. Today, everybody in our room thought to take something healthy for our home made roti. Every one suggested their own vegetables, but only availability was green beans in our Kitchen. So decided to make Middle Eastern recipe Fasooliya which is nothing but our green beans. When we make Fasooliya, we eat full beans and feel like eating more vegetable than our main course. That's true and speciality of this recipe. At the same time the spicy will be similar to Indian recipe. Lets go to Kitchen!! Wash beans and remove out two edges as picture. Make puree using one tomato. One tomato chop it. Heat 3 tsp of oil in a pan. Once oil hot, Add cut onion. Once onion gets translucent, add Chopped/crushed garlic, black pepper powder, salt and stir it. Now add the beans and stir it. Let this cook for 4 minutes in a medium flame. Now beans would be wilted little bit. At this time add bay leaf, cardamon powder,Red chilli powder, turmeric powder and stir it. Let this cook for a minute. Then add chopped tomato and tomato puree stir it. Cook this for 2 minutes. Now add half cup of water and cook till the water evaporate. Garnish with coriander leaves. Have with your favorite main course. Definitely, you will like it. I am guaranty. Benefits of Curry Leaves - Don't skip!!! Don't skip/avoid/throw curry leaves going forward!!! There are new diseases keep arriving in this new modern era. Nowadays youngsters also getting visual impairment, heart disease. This is really a shocking news and need every ones attention. To protect from these diseases hard exercise is very important. Maintaining balanced diet also very important. There are lot of nutrients and medicines already available from our regular food. Curry leaves are one of the ingredient we add in almost all the Indian recipes. But we will ignore them while during dining. There are 75,000 micro grams of vitamin A, calcium, folic acid, and vitamin B, C, available in curry leaves. Vision related disorders occur due to the Vitamin A deficiency. Like drumstick leaves, Curry leaves also has much Vitamin A. So don't avoid curry leaves. We no need to search for the curry leaves specially since it is available in our daily regular Indian food. Because, it is one of the ingredient we use daily for seasonings. Many of us think that we add curry leaves for just flavor. That's why we just ignore them while taking food. So going forward don't do that. Because, latest research proved that curry leaves has lot of medicinal benefits. Few are listed below. Curry leaves science name is Murraya koenigii. It belongs to the family Rutacaece which is native to India and SriLanka. Curry leaves rich in vitamin A, B, C, calcium, etc.,. It has lot of amino acids in it. These acids are the reason behind for its wonderful flavor and reveals many medicinal benefits. Australian Food science researchers found that curry leaves has the capability of curing the cancer diseases. Nutrition and health research clinic is the biggest medical research center in Australia. This center also found that the Indian spices are not only giving flavor for the food and those gives' lot of medicinal benefits as well. Research nutritionist Dr Lynne Cobiac said that Curry leaves act as excellent antioxidant. It has the potential to reduce the impact of cancer and heart diseases. In addition, curry leaves help to improve memory power. UK Agriculture Medical research center suggesting to use Curry leaves oil as moisturizer in order to cure lungs, heart and vision related diseases. Generally, applying coconut oil which is mixed with Curry leaves juice (for 100 g coconut oil, 100 g curry leaves needs to be used for making juice and needs to be heated in the very low flame until the moisture to be removed) and applying for head daily will reduce the body heat completely. Eating ground curry leaves will avoid lungs, heart and blood related diseases as well. Kerala University from Trivandrum did research on using the Curry leaves and Mustard seeds together for seasonings. The end result confirmed that Curry leaves and mustard seeds together help to avoid destruction of our body tissues. Also, it prevents the free radicals' creation in the body. DNA getting impact due to the free radical creation in the body. So the protein from the cells getting destroyed. This leads to the Cancer, rheumatic diseases. While eating seasoned food using both curry leaves and mustard seeds, the free radical's creation will be stopped. In addition, if the diabetes patients chew and swallowed 10 raw curry leaves in the morning and evening as soon as plucked them, they can reduce half amount of consuming diabetes tablet. This is recommended by Physicians and Surgeons. 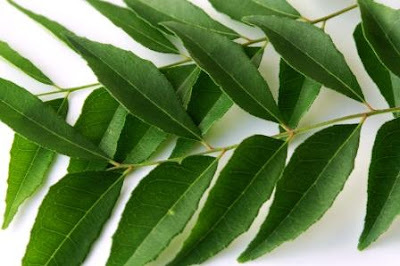 Physicians advised that consuming few curry leaves for 3 months daily in an empty stomach reduce the body weight. It avoids exiting sugar in the urination. It reduces the fat from the blood and improves the memory power. Eating raw curry leaves will make sweet voice. Also, physicians confirmed that curry leaves relieve from cold. Indian Council of Medical recommends consuming 170 grams of vegetables daily. Also, it recommends to eat 75 - 125 greens every day. 10 important vegetables names also recommended which would be part of 170g. Curry leave is one among them. So Friends, do not skip eating curry leaves going forward. OK? make the chicken gravy in their style. For the taste I am guaranty. Wash chicken thoroughly. Add turmeric powder and little salt and keep aside. coconut become golden in color. Stir continuously in order to avoid burn. ginger garlic paste and stir it. Once tomato cooked, add the marinated chicken and stir it. Cook for a minute. Add the ground paste. Mix it all together and cook this for 3 minutes. Now add 2 cups of water and pressure cook for 4 whistles. Switch off the flame and release pressure. Now switch on the flame and cook this gravy until the gravy gets thick consistent. 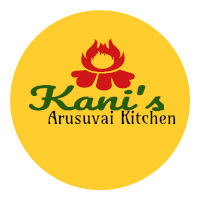 Now the Karaikudi chicken gravy is ready to serve along with your main course. Stone flower or Kalpasi(in Tamil) is one of the spice being used in Indian cooking. There is difference between seaweed(Kadarpasi in Tamil) and Stone flower. Stone flower will grow on the rocks, branches of trees and on the palm/coconut trees in the forest areas which looks similar to mosaic. It has slightly a bitter taste. This black stone flower will cling and grow on tree barks from bottom to top branch as a little flakes. This need to be harvested gently without cracking any of the barks. It has grown only on the stone rocks in those times. Now it get used to grow on the trees as well. It is an integral part of Indian cuisine. It's not only gives flavor to food, it has lot of medicinal values as well. Tribes who lives around the Kodaikanal in Tamilnadu do harvesting stone flower as their profession. Stone flower act as analgesic drug. Stone flower being added in the recipes to prevent inflammation in the digestive tracks. Also it improves digestion. Add extra flavor to Briyani. It will heal respiratory problems. Keeps body temperature under control. It's not good to eat raw stone flower. It has to be consumed along with food. So you got some info right? Share to your friends as well. The secret of our ancestors long life is always the natural and organic food habits. There were no pizza, burger, chemical ingredients, packaged food, food coloring before. They cook what was available in the surrounding. Gongura/Pulucha keerai(in Tamil) (means sour green) is one among them. It is sour in taste. It will available in villages with free of cost. There are two kind of gongura available in the market. One with slightly red in color and another one is fully green color. We can store this recipe for 15 days once we cooked without refrigerated. This is my one of the favorite recipe with sesame oil for rice. If we use refrigerator, we can store for 30 days easily. Lets see how to make. Clean and wash the gongura leaves. Boil the leaves with required salt in a cup of water. In 4 minutes, the leaves will be wilted well. Now switch off the stove and drain the excess water completely. Once cool down, blend it using mixer grinder. Heat sesame oil in a pan. Once oil hot add mustard seeds, urad dal, craked red chilli, Curry leaves and stir it. Once mustard started spluttering add chopped onion. Stir it. Let onion cook well in the oil until it translucent. Add the ground gongura and stir it well. Switch off the flame immediately. Now valuable and healthy gongura kadaisal is ready to serve.